David Defiagbon was born in Nigeria on June 12, 1970 and died on November 24, 2018 in Las Vegas, NV of heart complications at the age of 48. 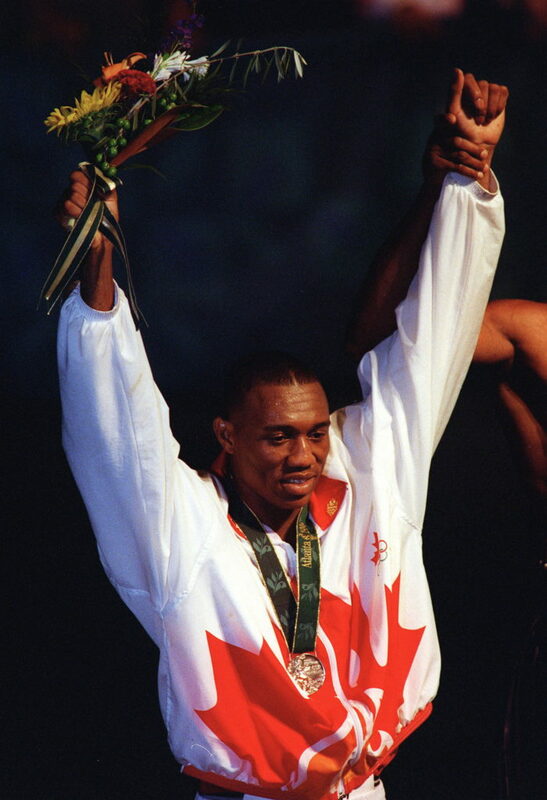 David proudly represented Canada at the Atlanta 1996 Summer Olympic Games where he won a silver medal in the Heavyweight Division, the last Canadian to win an Olympic boxing medal to this day. David was very proud to call Canada his home; He loved the people and Canadians have shown him love and support throughout the years. He had endless stories to tell about his teammates, the Gordons, the news reporters, fans, friends and the boxing community. His heart was full. Beside his Olympic accomplishments representing Canada, he also won Gold in the 1990 Commonwealth Games and participated in the Barcelona 1992 Olympic Games for Nigeria. Nicknamed “The Dream”, David began his professional boxing career in 1996, amassed a stellar record of 21-2-0 and won the WBA Fedecentro Heavyweight Title on June 12, 2004 which was the pinnacle of his boxing career. With many great accomplishments inside and outside of the ring, he touched so many people’s lives in his time here with us and his legacy will mark Canadian boxing history. David is survived by his daughter Jaden Defiagbon and his family in Nigeria, Brothers: Ogheneovo, Charles, Ojewer, Smart, his sister Juliet. David loved his only child Jaden with all of his heart, he will be greatly missed by her. We are looking to have a proper burial and resting place for David as he did not have anything saved to fund one. If you are able to support and help David have a much needed resting place that he so deserves, please donate any amount that you can on the Go Get Funding page that was setup up for him. If you are unable to donate, please just write a nice note or memory that you have with David to share with his daughter.